From 27 September to 18 October, as part of Boris and Ināra Teterev’s arts programme TÊTE-À-TÊTE 2016, the Latvian Railway History Museum will host the exhibition "Light at the End of the Cable. Latvian Art in the Digital Era", which is comprised of part of the State-owned portion of the collection of the Latvian Museum of Contemporary Art. On view in the exhibition will be iconic works by 25 artists, which have not been available for public viewing for years and, in some cases, even decades. “The exhibition’s leitmotif is affinity to the so-called digital era, its subjects, paradoxes and impasses. Did you know that a person in a shower can disappear countless times like mist, only to reappear? Did you know that a mobile phone, flying around in circles, forms a beautiful contour of light? Did you know that a trolleybus terminus can be folded up like a paper cube?” asks curator Helēna Demakova, commenting on the vision for the exhibition. “We plan that the Latvian Museum of Contemporary Art will open its doors in 2021. However, it is important that the collection of the future museum of contemporary art is also available for viewing during the period while the museum is still only under development. We hope that for many people these works will be a surprising revelation and an adventure; especially for the younger generation, which has not had the chance to see the works of art in this collection,” note philanthropists Boris and Ināra Teterev. Throughout the duration of the exhibition, the services of a guide-curator will be available, who will introduce groups of young viewers to the works on view. Moreover, an educational guide has been prepared, which contains tasks that will help every pupil, accompanied by teachers or parents, to discover the connection between contemporary art and the digital era. The participants in the exhibition are: Ēriks Božis, Jay Chow, Evelīna Deičmane, Dace Džeriņa, Kristaps Epners, F5 (Līga Marcinkeviča, Ieva Rubeze and Mārtiņš Ratniks), Jānis Garančs, Kristaps Ģelzis, Ģirts Korps, Kristīne Kursiša, Maija Kurševa, Lev Manovich, Miks Mitrēvics, Anta Pence, Dita Pence, Monika Pormale, Krišs Salmanis, Rasa Šmite, Raitis Šmits, Alise Tīfentāle, Vilnis Vītoliņš, Mehrdad Yazdani and Armands Zelčs. As part of the Boris and Inara Teterev Foundation’ s ongoing arts programme “TÊTE-À-TÊTE”, LTV’s series of programmes and theatre productions “Teātris.zip” presented the New Riga Theatre production of “Onegin. Commentaries”, which four years ago was nominated for a 2011/2012 Spēlmaņu nakts (“Players’ Night”) award in the category of Dramatic Theatre Play of the Year, while its director Alvis Hermanis received the 2011/2012 Spēlmaņu nakts award as Director of the Year for his work on the plays "Oblomov" and "Onegin. Commentaries". Viewers watching the play have the chance to enjoy Pushkin’s sublime poetry in both Russian and Latvian, complemented by a characterisation of the age, a portrait of Pushkin himself and an analysis of this work, based on the studies of literary scholar, cultural historian and semiotician Yuri Lotman. However, by embarking on a path of discovery and re-examining the classic stereotypes; together with his actors and master set designer Andris Freibergs, Alvis Hermanis has succeeded in creating a uniform work of art, which not only addresses viewers intellectually and emotionally, but also gives them an abundance of food for thought. Joining Ojārs Rubenis on the “Teātris.zip” programme to discuss the various aspects of how the play is perceived were Vilis Daudziņš (Pushkin), Kaspars Znotiņš (Onegin), Kristīne Krūze (Tatyana) and Sandra Kļaviņa (Olga). On the eve of the Boris and Inara Teterev Foundation’s arts programme “TÊTE-À-TÊTE”, LTV’s series of programmes and theatre productions “Teātris.zip” offered viewers an adaptation of legendary playwright Tennessee Williams’ play “A Streetcar Named Desire” at the New Riga Theatre, directed by Inese Mičule with Elita Kļaviņa in the role of Blanche, Iveta Pole as Stella and Andris Keišs as Stanley. Blanche DuBois believes in love and yearns for it. She has lost everything and seeks sanctuary at her sister’s. There, Blanche ends up in a complex relationship triangle with her sister and her brother-in-law. The lives of all three are caught up in a tragic whirlpool, acerbically interwoven with a stubborn battle with real life, escape into a world of illusions and the desire to preserve one’s ideals.  “TÊTE-À-TÊTE” is one of the means how the Boris and Inara Teterev Foundation nurtures the development and accessibility of culture and art in Latvia. The Teterev Foundation sets world-class benchmarks for this programme commensurate with those of contemporary art, and therefore before the play, we heared a discussion not so much about a single play as about the processes of theatre globally and their connection with Latvia. Programme guests: theatre scholars Līga Ulberte and Ieva Struka. The first and last love story. Based on the play "So Be It". Actually, not just one story because every character of the play lives in love - carries it within, burns with it, hopes for it... Someone's love is reciprocated - and gives wings to them; someone's love is unrequited - and provides some experience for them. Anyway, either a happy one or an unhappy one, Love is the highest life purpose, the only true anchor and the driving force, which changes both the person and the world. ...On the 22nd of October, we, for a first time, saw how Alla Sigalova, the director and choreographer, told these two love stories. Cast: Ieva Segliņa, Natalia Zhivets, Eugeny Cherkes, Yelena Sigova, Maxim Busel, Tatyana Lukashenkova, Alexey Korgin, Anatoly Fechin, Yana Lisova, Olga Nikulina, Julia Berngardt, Anastasiya Rekuta-Dzhordzhevich, Vadim Grossman. Alla Sigalova is one of the Russian Federation’s (RF) most distinguished choreographers and the winner of numerous theatre awards. She is a graduate of the A. Vaganova Academy of Russian Ballet and the Russian Academy of Theatre Arts’ (GITIS) Faculty of Directing. In her role as an educator, she is a Professor at the Russian Academy of Theatre Arts (RATI) where she is the Head of the Faculty of Modern Choreography and Stage Dance. At the same time, she is also a Professor and Head of the Department of Movement at the Moscow Art Theatre School. She is not only the choreographer and director of over 120 productions in Russia and abroad, but also the producer and host of a number of programmes on the Culture television channel including Right in the Eye, All Russia, Grand Opera, Grand Ballet and Grand Jazz. Her status as a truly outstanding choreographer is not confined to Russia; it extends all over the world. At the Riga Russian Theatre, she has overseen productions of Nights of Cabria (2002) and Hanuma (2014), where she also worked as a choreographer on a number of productions including an adaptation of August Strindberg’s play The Dance of Death (director: Roman Kozak). Nikolai Simonov is a Distinguished Artist of the Russian Federation, who has worked on over 100 theatre and opera productions, as well as in television. Among the prestigious awards he has received are an award from the Russian Federation for his contribution to the field of culture and the Moscow Prize in the category of Visual Arts. Alexandre Vassiliev is a world-renowned fashion historian, interior decorator, set designer, author of widely-read books and articles, as well as being an outstanding lecturer, collector and host of popular TV programmes. He owns one of the biggest private collections of historical couture, which he has built up over a 30 year period, and which currently includes about 10,000 items (including clothing, footwear, accessories and photographs), some examples of which date back to the 18th century, whereas others are from the 21st century. Alexandre Vassiliev also gives lectures at colleges and universities all over the world in his capacity as a guest lecturer on subjects related to fashion history and stage design. He is the recipient of the Diaghilev Medal, the Vaslav Nijinsky Medal, the Order Patron and the Russian Academy of Arts’ Gold Medal. He is also a two-time recipient of Turkey’s TOBAV Prize. Alexandre Vassiliev has created over 100 decorations for ballets and operas produced by leading theatres, as well as for numerous well-known theatre productions and films. His collaborators include the Théâtre du Rond-Point, Le Lucernaire and Cartoucherie theatres, L’Opera Bastille in Paris, Avignon Festival, Ballet du Nord, New Ballet of France, Royal Opera of Versailles, National Theatre in London, Scottish Ballet in Glasgow, Royal Ballet Flanders, Masako Ohya Ballet in Osaka, Asami Maki Ballet in Tokyo, Nevada Ballet, Opera and Ballet of Santiago, and many others.